The deep-sea anglerfish inhabits some of the darkest, most oppressive and dangerous environments on Earth. In a place where most submarines would be crushed due to the pressure, these fish thrive. One of nature’s strangest animals, this highly adaptive fish has one of the most unusual of appearances. Long before people ever held a fishing rod this fish had mastered the act of fishing. There are many fish and amphibians which fall under the moniker ‘anglerfish’. In fact, there are in excess of 300 hundred species. They are called after their method of catching fish. 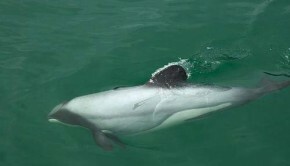 They use a growth on their head as a lure to attract fish. This lure is known as the esca and is flexible to allow the fish to move it in any direction. Bacteria in the esca illuminates for other fish and potential meals to see. This relationship is also beneficial to the bacteria as the anglerfish provide them with a constant source of food. The esca acts as a bait and brings prey right into the anglerfish’s jaws. The anglerfish is armed with a fearsome array of sharp, backward-pointing teeth. They can swallow prey twice their body size due to a distending jaw and expanding stomach. Only the female possesses a lure. Deep-sea anglerfish reproduction is amazing. As males reach sexual maturity, their digestive system becomes redundant. When this happens they must quickly find a female or risk death. The male fish has an acute sense of smell. He uses this heightened sense to locate the female. Once the female is located the male proceeds to attach himself to her body by biting into her skin. The male is then assimilated into the female and all that remain are a pair of testes. The female now can fertilise her eggs as soon as she is ready to spawn. 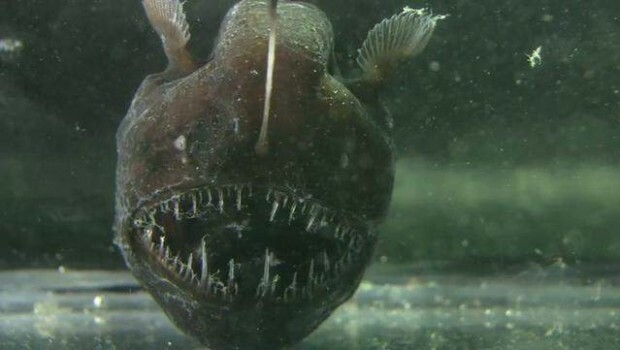 Deep-sea anglerfish also hold one unmatched record. The Photocarynus spiniceps is the smallest known vertebrate at 5mm (quarter inch) in length. Of course it is the male of the species that holds this record, the female can sometimes be hundreds of thousands of times bigger. 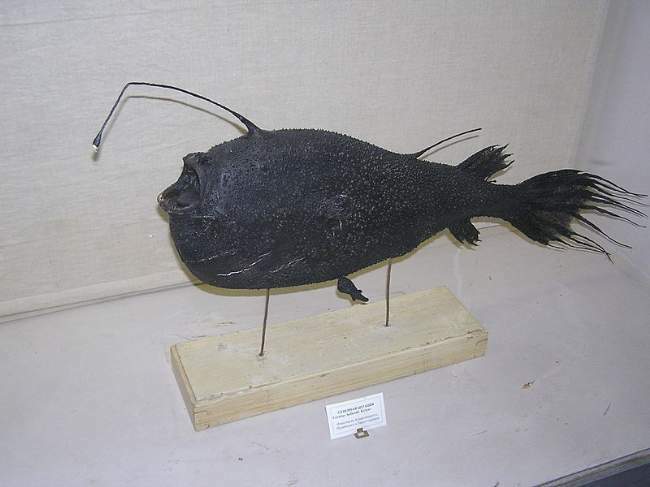 Anglerfish can be up to one metre (three feet) in length. They can weigh 50 kg (110 lbs). 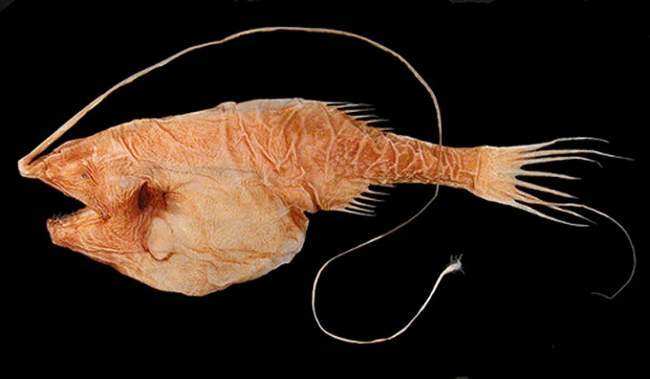 Some anglerfish can live as long as 30 years. They are found throughout the world. Oceanic Anglerfishes: Extraordinary Diversity in the Deep Sea is a comprehensive read consisting of over 500 pages with everything you need to know about this peculiar animals. For those living in Canada you can obtain Oceanic Anglerfishes from here. This is fantastic! It’s also what the revolutionary fishing lure from Esca Global in Norway has originated. The Esca lure attracts fish by imitating nature’s lure lights like you find on the anglerfish, squid and Krill. As many people says about the Esca – It makes lures and bait come alive. What is cool also by the Esca lure is that its powered by saltwater. Glad you liked it. 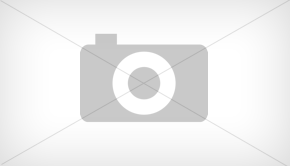 I enjoyed checking out your site and your product. Seems to be very clever. The best technology comes from nature. What a great article, those fish are the work of nightmares, but they are so cool, I have always been fasinated with fish expecially deep sea fish with all their cool things that glow and the way they hunt. Thanks for sharing the video clip it was really cool to watch these fish in action. Thank you for your kind words. They will be more related articles coming soon. Thanks for your comment Ola.